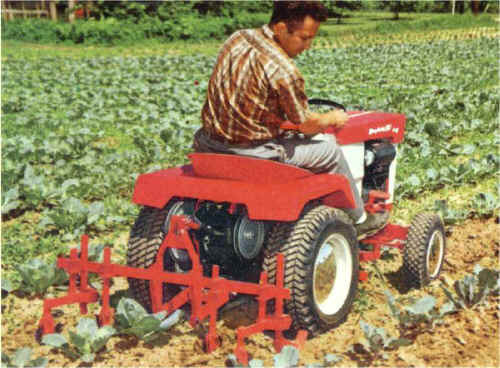 Cultivator (No. 990398). Work astride small plants and between rows with this adjustable depth cultivator -- it adjusts even while you're in operation. Sturdy wide high-carbon cultivator shovels are staggered to shed trash, keep your rows neat. Simplicity Landlord shown with 42" mower is highly maneuverable in limited space. 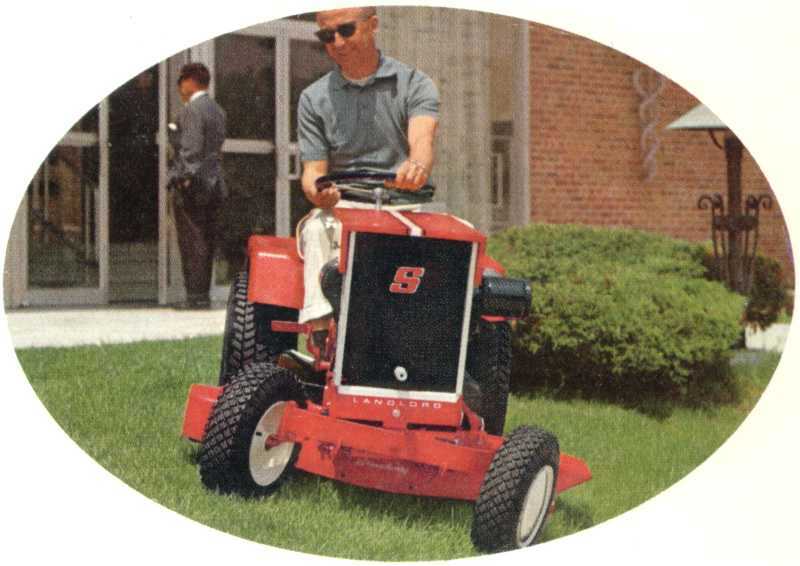 Also note how mower follows a ground contour, thanks to Simplicity's patented "free-floating" action. 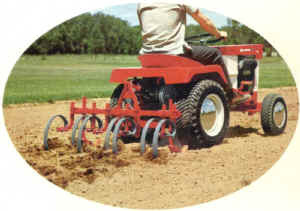 Spring Tooth Harrow (No. 990408) Cultivates a 44" wide area . . . and does it well. Rear mounted, attaches in minutes and is easily adjusted with hand lift lever or hydrolift. Seven spring teeth, all steel, mounted on a rugged steel frame. 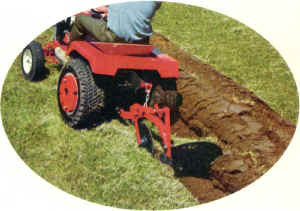 10" Moldboard Plow (No. 990464) Rolling coulter cuts trash, lets you slice a neat, clean furrow. Handy depth regulator gives precise furrow control. Four No. 046 wheel weights and No. 315 tire chains recommended for sure-footed traction.